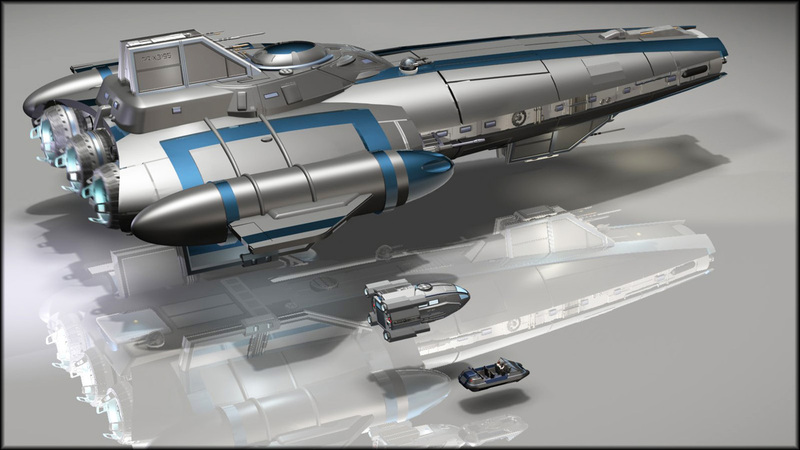 Welcome to 0-hr: art & technology - starship designs, digital art, and game development by Ryan Wolfe. 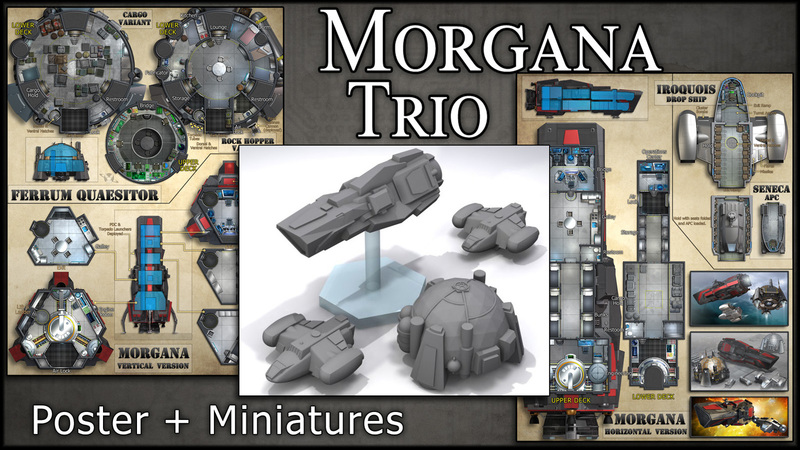 Below you can find information about my deluxe deckplans, posters, and miniatures. These are top-quality products designed to enhance your table-top games and help bring your adventures to life. Zero hour, it's time to play! PLEASE NOTE: I recently migrated my site to a new host. Please let me know if you run into any problems, broken links, or missing assets. Posters and miniatures from my Kickstarter campaigns are available for sale via the link above. For digital products, please visit DriveThru RPG or RPGNow. 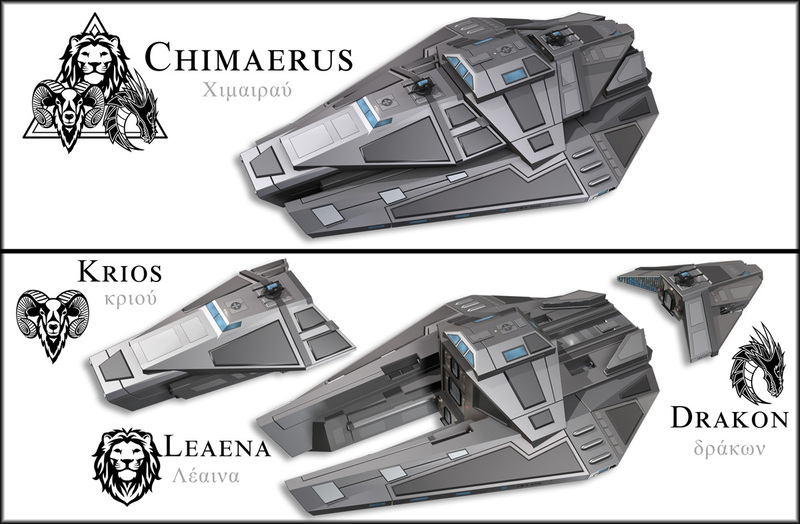 My current Kickstarter presents a trio of smaller ships: the sleek Sengdao transport, industrious SVN Prospector, and Akela-class shuttle. The deckplans cover both sides of an 18x24 inch poster and the miniatures are sold as a set for extra savings. This project is on Kickstarter through April 25th, 2019. The digital issue from which these ships are drawn is available at DriveThru RPG. Port Zero is my ongoing collection of ships converted for use with Starfinder by Paizo Publishing. The PDFs are form-fillable and have both color and black & white layers. Flat images are also available as is a blank sheet for your own use. The latest issue of the Codex presents a trio of small ships that vary greatly in both style and intended use. All are perfect for a small group of starfarers just starting out or looking for a new ride. Sengdao is a high-end transport, considered a yacht by some. The SNV Prospector is a working ship made to mine and transport metal ore. Lastly, the Akela-class is a shuttle with bunks for four or six. This issue is available at DriveThru RPG. For updates, like the 0 hr Facebook page, or follow @ZeroHourWolfe on Twitter. And as always, feel free to contact me at 0-hr @ mail.com. To learn way too much about my career history, visit my online portfolio. (C) 2019 by Ryan Wolfe. Permission is given to reproduce the images and documents on this site for personal use, but not to sell, host, or widely distribute it without express permission.